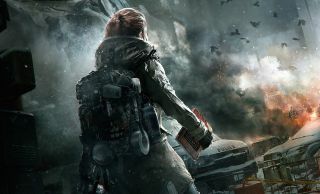 The March 8 launch of The Division will be accompanied by the simultaneous release of The Division: New York Collapse, a “meta-novel” survival guide written (in the game's fiction) before the fall of New York City. But it's not just a survival guide. The real juice lies in the “handwritten notes” added to the book by its previous owner, who was apparently in hot pursuit of the forces behind the collapse before she fell victim to misfortune. Now the book, and the mystery, have ended up in your hands. I'm down with hint books—I even own a few—but, beautiful though it may be, I was initially uncomfortable with the idea of locking game content and “secrets” within a completely separate, external purchase. But I suppose it's really no different (and, at $15, no more expensive) than a conventional DLC release: You get the base game for the base price, and if you want more, you pay more. And on top of everything else, Irvine said the book includes “proven and efficient survival techniques” which can “help you prepare for and survive through urban chaos.” Let's hope they amount to more than recommending you buy a kevlar-lined anorak and avoid making eye contact with strangers. The Division: New York Collapse is available for preorder from Amazon, Barnes & Noble, and Chronicle Books.